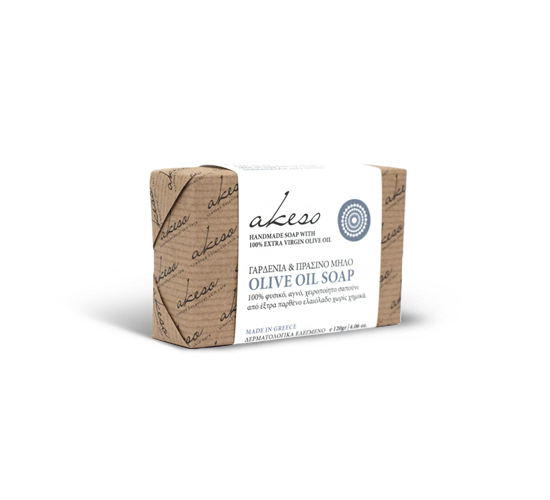 A natural, tonic, hydrating, handmade soap with an intense gardenia fragrance. Rich in polyphenols and antioxidants due to the green apple and extra virgin olive oil. Offers relaxation and wellness. Extra virgin olive oil, soda (NaOH), coconut oil, palm oil, gardenia essential oil, fresh green apple juice, Vitamin E and water from the springs of Taygetos.